– Lafranchi Family, Nicasio Valley Cheese Co.
At the age of 17, Fredolino Lafranchi immigrated to America from Maggia, Switzerland, with the dream to one day own and operate his own dairy. In 1919, that dream became reality when Fred and his wife Zelma Dolcini Lafranchi established the Lafranchi Dairy in the western Marin town of Nicasio, California. Fred and Zelma raised their five children on this beautiful ranch. Their eldest son, Will, continued in the family business, raised his 6 children on the ranch and lived his entire 78 years on this very special land. During his life, Will was able to visit his ancestral homeland of Switzerland a number of times, and enjoyed a distinctive selection of cheeses handmade by local artisans. The appreciation of these fabulous cheeses left him and the rest of the Nicasio family with a longing to enjoy these treats back home. Their family dairy afforded the perfect resource to pay homage to this part of their heritage. 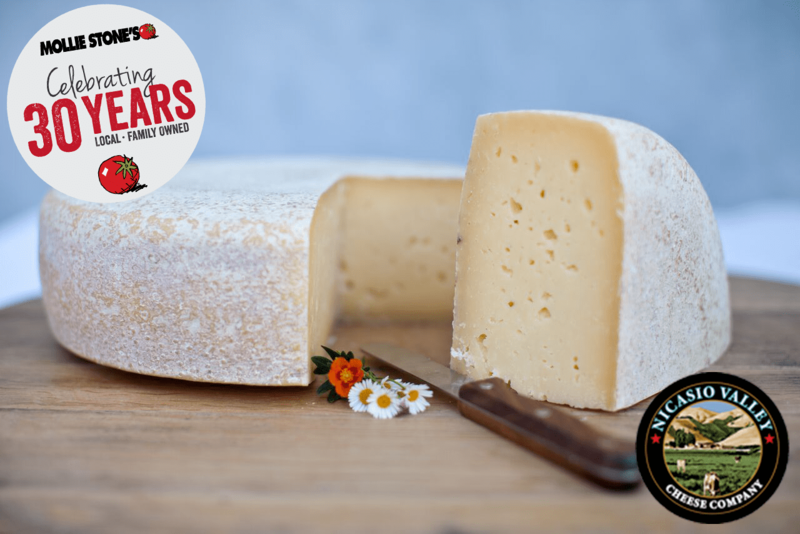 In 2010, Will Lafranchi’s children established the Nicasio Valley Cheese Company to bring to reality something their father had only dreamt of. Swiss Master Cheesemaker, Maurizio Lorenzetti has mentored their family in the art of making the cheeses of Valle Maggia to ensure they are as magical here as they are in Switzerland.